We’re now the TOP Italian Restaurant – THANK YOU! Al Porto’s website just gets busier and busier as recommendation spread. 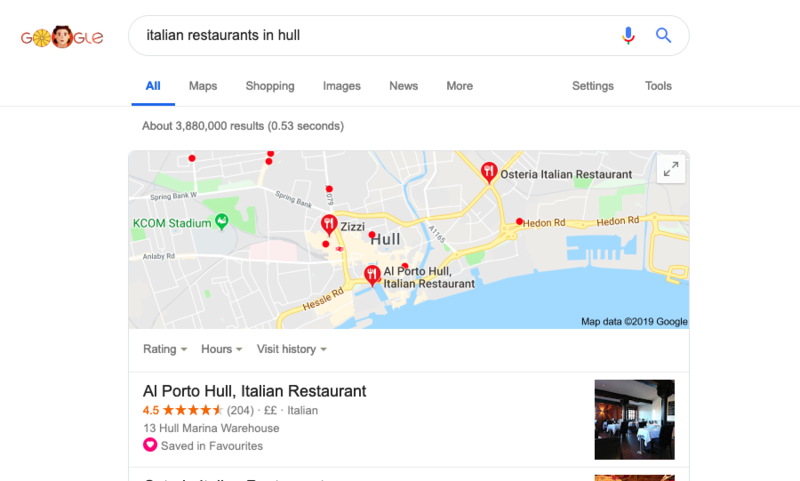 We’re now the top restaurant when doing a search for ‘Italian restaurants in Hull‘ – and deservedly so! 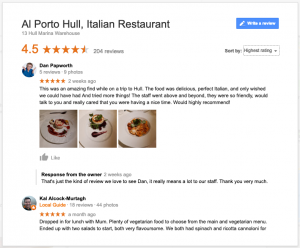 We had 62,000 search views in Google, plus the photos of our fantastic dishes had a massive 184,000 views in the last 30 days. Wow! Thank you to all who gave us 5-Star ratings, – we’re very grateful; it means a lot to our staff, who always go out of their way to please customers.